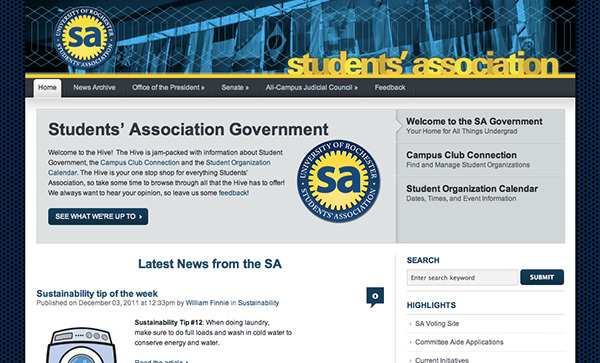 Student Government at the University of Rochester was desperately in need of not only an aesthetic overhaul, but also the creation of a web roadmap. This strategy included unifying the SA’s 3 sites, creating a logo, and consolidating information. They also sought an online voting system app, for which a custom CMS and fresh design were created.